Going low-carb has some benefits -- namely, it can help you lose weight, and if you have diabetes, a doctor-recommended low-carb diet might help with blood sugar control. However, taking on a low-carb diet also means careful planning, especially if you're following a very restricted low-carb diet, and it may mean cutting some of your favorite treats from your meal plan. Most of the foods you'll need to avoid offer little nutritional value, but you may also have to limit your intake of a few healthy, carb-heavy foods. Sorry, sweet tooth! Candy, chocolate and sugar-sweetened beverages are the first ones on the chopping block when you switch to a low-carb diet. Not surprisingly, these foods come loaded with sugar and carbs -- a 16-ounce bottle of cola has 52 grams of carbs, all of which come from sugar, while a package of commercially available peanut butter candy pieces has 28 grams of carbs, including 25 grams of sugar. If you're on a restrictive low-carb diet, a single serving of either will likely blow your whole carbohydrate "budget" for the day -- leaving you no room for healthy carbs, like veggies. And while these foods take up lots of space in your carb and calorie budgets for the day, they don't offer anything in terms of nutritional value -- 16 ounces of cola, for example, has a measly 1 percent of the daily value for calcium. 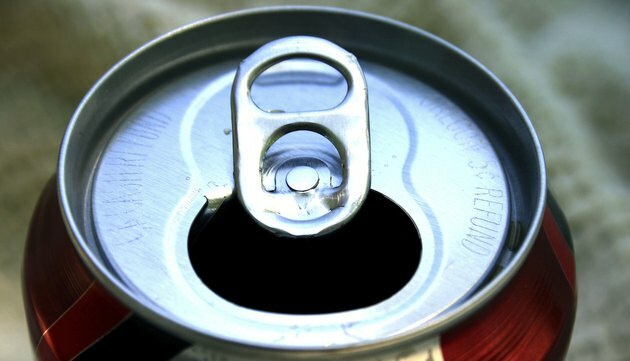 Steer clear of candy, sugary chocolate, sugar-sweetened soft drinks, lemonades and juice cocktails -- also called juice drinks -- that come packed with added sugar. Bypass the bakery -- most of the typical bakery treats will be off-limits when you're following a low-carb diet, since many of them contain carbs in the form of sugar and starch. A piece of store-bought chocolate cake, for example, has 73 grams of sugars, including 55 grams of sugar. Even if you're on a relatively permissive low-carb diet -- one that allows 80 to 130 grams of carbs -- a single piece will take up most of your carb budget for the day, and offer little in the way of nutritional value. Even "healthy" baked goods can pose a problem in a low-carb diet. A healthy-sounding low-fat blueberry muffin, for instance, has 36 grams of carbs, including 19 grams of sugar. Savory baked goods don't fare much better -- a croissant, for example, has 26 grams of carbs and 6 grams of sugar. If you're on a less restricted low-carb diet, you may be able to enjoy a small portion of these foods every now and then, but you shouldn't make them a regular part of your diet. While you don't need to avoid healthy carbs -- like whole-wheat bread and pasta, brown rice, quinoa, potatoes and sweet potatoes -- entirely, you should avoid eating large portions of these foods to stay within your carb limit. A cup of brown rice, for example, has 45 grams of carbohydrates -- though 4 grams comes from indigestible fiber, for 41 grams of digestible "net" carbs -- while a thin slice of whole-wheat bread has 12 grams of net carbs. However, unlike sweets and baked goods, these carbs offer nutritional value. A medium sweet potato, for example, has about 20 grams of net carbs, but also contains your entire daily value for vitamin A and more than one-third of the daily value for vitamin C. The fiber in starchy veggies and whole grains also fights constipation and helps you feel full -- a definite benefit when you're trying to lose weight. Ultimately, following a diet shouldn't mean feeling deprived 24/7. While you should avoid sugary foods and processed baked goods, make an effort to include healthy whole grains and starchy veggies in moderation. Just practice portion control -- measure out a half-cup of rice instead of eyeballing your portion -- and use lower-carb ingredients as "filler" to keep your carb intake low. For example, mix brown rice with riced cauliflower -- finely shredded cauliflower that's similar in texture to rice. Because cauliflower is naturally low in carbs, you'll be able to enjoy a larger portion size without significantly boosting your carb intake. If carb cravings are making your low-carb dieting miserable, talk to a registered dietitian, who can look at your activity level, health concerns, carb intake and food preferences to recommend a diet that works for you. Are Graham Crackers Good for a Low-Carb Diet? Can You Eat Crackers on a Low-Carb Diet?